There are several different ways to make a pie crust. Everyone seems to have their favorite recipe. The most classic pie crust is made with butter. Making a pie crust with butter makes it more flaky. Making a pie with butter takes some practice, because if you handle it too much it will end up being tough, the reason being your warm touch is melting the butter. To get the perfect pie crust requires that all the ingredients are chilled, and doing so will give you a flaky, manageable dough. You can also make pie crust using a food processor. Let’s see how that works. Add your flour and butter and pulsate, but stop pulsing when you see the pieces of butter are pea size and still cold. 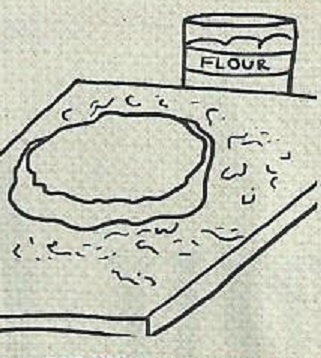 After chilling your dough, lightly flour the surface you will be rolling your dough on. 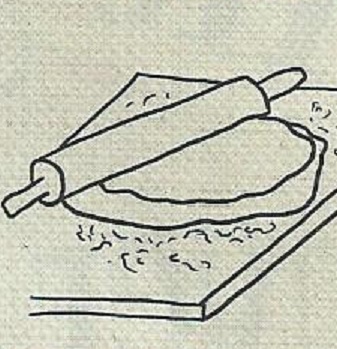 As the dough will absorb some of the flour, so putting to much can cause the dough to be tough. 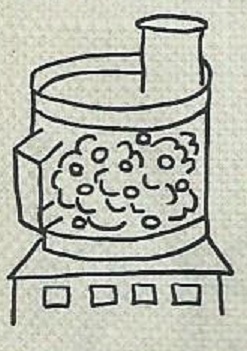 Combine flour and salt in processor. Next cut butter into chunks and add to processor. Pulsate until flour and butter are combined, and the chunks of butter are pea sized. 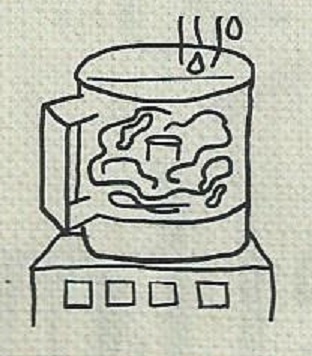 Next while pulsating add a tablespoon at a time and stop adding water when you see clumps starting to form. Remove dough from processor, cut into two even parts, form into a ball and wrap each dough ball with plastic wrap and refrigerate for about 30 minutes to 1 hour. After removing dough from refrigerator, follow illustrations 3 and 4 above. To blind bake your pie crust, link here: Blind Baking. With this pie crust the oil replaces the butter, and the cold ice water is replaced by buttermilk ( 5 tablespoons equal 1/3 cup). Sift flour and salt. Add buttermilk, oil and stir only until dry ingredients are blended in. Divide dough in half, and form into a ball and wrap each dough ball with plastic wrap and refrigerate for about 30 minutes to 1 hour. After you have prepared your crust, blind baked it, here is an idea for some great pie ingredients to fill your crust with. In a small mixing bowl make sugar mixture whisking together sugar, flour, cinnamon and nutmeg. Place apples in a large bowl and toss with the sugar mixture, coating apples thoroughly. Add cranberries, mixing in well. Spoon apple mixture in the pie crust, distributing evenly over the whole surface of the crust. For the topping combine all ingredients, except butter, in a small bowl, and mix well. Next add butter, using two knives, cut in butter until mixture forms small pea sized pieces. Sprinkle over filling, covering completely. Place prepared pie plate onto a baking sheet and bake 15 minutes. Reduce heat to 375 degrees, and continue baking 40 minutes, or until apples are tender. 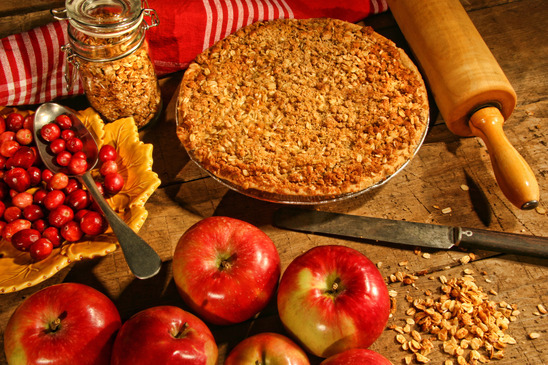 Insert a knife into the pie to check the firmness of the apples. If the apples are still firm, continue baking until they soften just a little. If topping is getting too brown and apples are not done yet, cover pie with aluminum foil to allow apples to bake a bit longer. Transfer pie to a wire rack and let cool 1 hour before serving. Apple pies are best served at room temperature or warmed in a 350 degree oven for about 10 minutes. Apple Cranberry Crumb Pie will keep at room temperature overnight, and can be stored in the refrigerator up to four days. This entry was posted in Dessert and tagged Apple, Blind-baking, Braeburn, Butter, Easy Pie Crust, Flour, Gravenstein, Kosher salt, Pie, pie crust, pie crust recipe, Pizza. Bookmark the permalink. Thanks Roger. Thanks for stopping by and your comments are always appreciated. Have I ever invited you to view my other web-site? I studied Human Health and Nutrition and have about 1 yr and 6 months with this web-site. It offers alternative health care solutions, and shows you how food correlates to a healthy you! !